Programming an automated trading strategy can be a time consuming and/or costly venture. Unfortunately without investing the time and/or money in to having your strategy programmed, the only way to backtest the strategy and get an idea how it performs historically is to log each trade by hand. Backtesting Strategies by hand can be a very daunting task, which is why I’ve created a new NinjaTrader indicator to assist in the process. Below is more information on our NinjaTrader Backtesting Software. When you click the Buy or Sell menu options, you will see an arrow drawn on the chart as you move your mouse. Once you left click your mouse to lock the order in place, a new window will appear for you to adjust the order properties. After clicking OK to add the entry order to the chart, the indicator will automatically draw an arrow on the chart for you to place your exit order. The Trade Analyzer will list all of the trades that you have drawn on ANY chart. This means that you can backtest strategies on numerous instruments and time periods at the same time! Purchase a LIFETIME LICENSE for only $199.95. 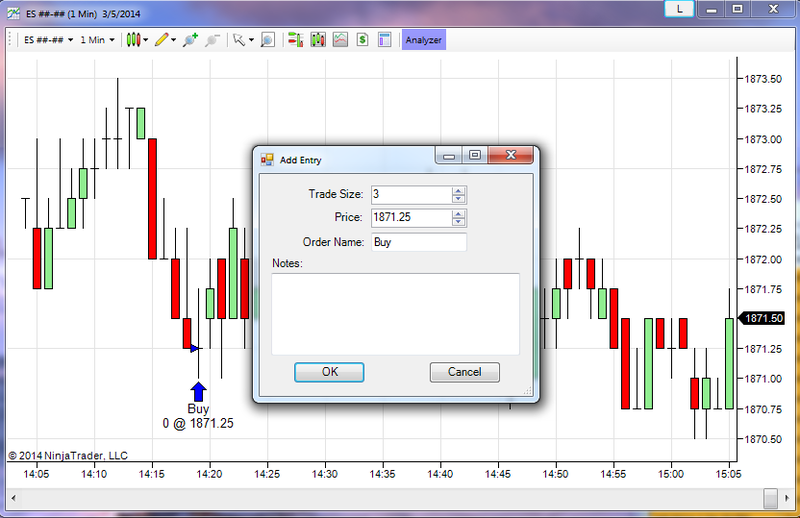 Simply fill in your NinjaTrader Machine ID below and click the Buy now button. You will be redirected to PayPal to complete the purchase. If you are not completely satisfied with your purchase in the first week, we will give you a full refund… No Questions Asked!!! I have a couple of questions re: the manual backtester in Ninja. Is it possible to export the analyzer data & the list of trades for further analysis in excel? When you save the analyzer data portfolio – can you “save as” so that you can then load & unload different test results pertaining to different parameters. Yes, you can export the trades in to excel. You can also use the “save as” option for the portfolio data so you can load and unload different test results. 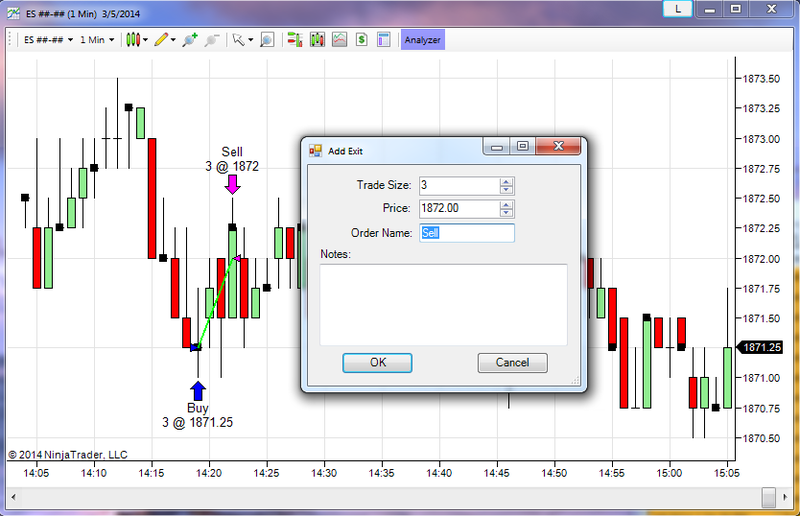 I have a couple more questions…once you place an entry order, the indicator is automatically waiting for an exit order which it acknowledges once you left click again on the chart. What happens if I want to draw a trend line on the chart before placing the exit order? Will it acknowledge the left mouse click of the trend line as an exit order and place the exit in the wrong place? And as a follow on to this question, is it possible to adjust the orders once they have been entered on the chart? Either by clicking on them on the chart and moving/amending them, or by altering them in the Analyzer window? 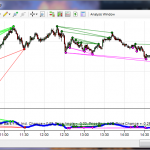 You will need to draw any trend lines before drawing the trade on your chart. You cannot amend orders once they are drawn on the chart, but you can delete the trade from the chart and draw the new trade with the new order prices. There have been recent updates to the indicator. Please email me at info@freeindicators.com and I will get you the latest version. Hello, I am interested in your backtest indicator. I had a couple of questions. Is the version that I would purchase from this website the latest version? Also, how many computers would the license cover? Yes, the version on the Web site is the latest version. The license will cover one computer. I see no Maximum Adverse Excursion and no Maximum Forward Excursion in your analyser. In the development phase it’s useful to know this info in order to fine tune your strategy. Can you add them? I can add them if you are going to purchase the software. What a great piece of software. I use it for backtesting strategies. But it has been really helpful to journal my trades. I go back over the days trades to make notes of trades taken and also to show what results would have been by following the trade plan to the letter. What a journaling time saver and aid. This functionality looks extremely useful. Will there be a version for NT8 and will that be a free upgrade if I buy the current version? 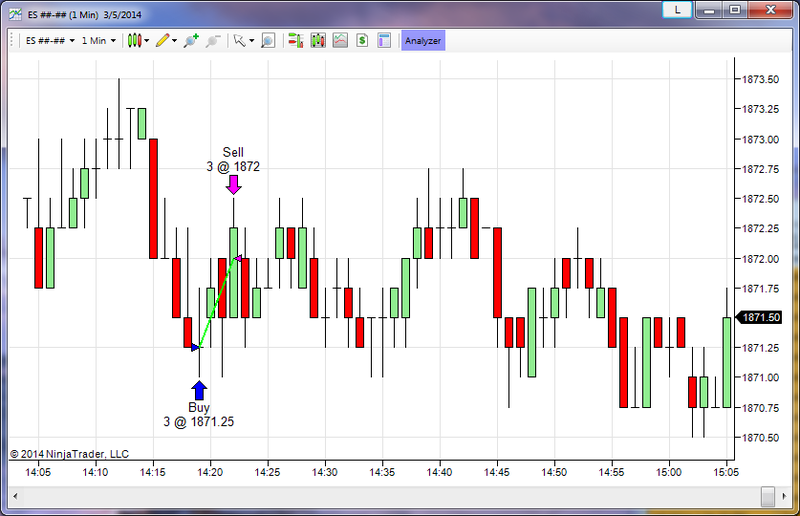 There will be a version for NinjaTrader 8. It will not be a free “upgrade” since the program has to be completely rewritten for NinjaTrader 8. 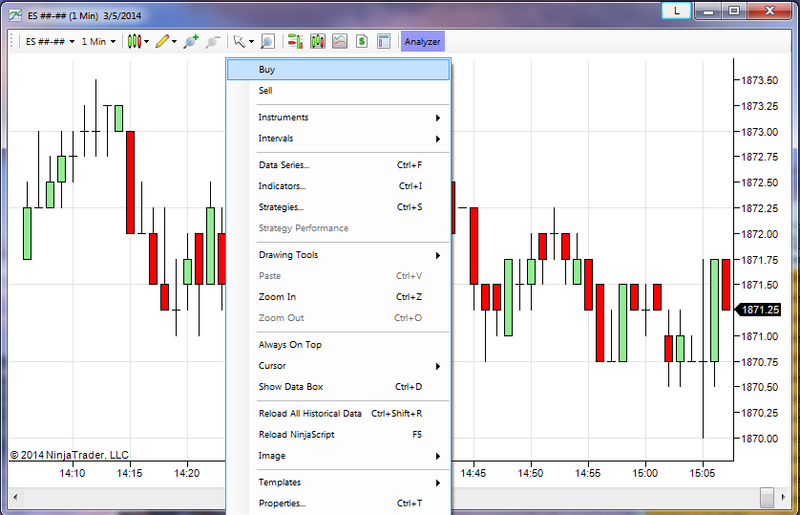 Users with a license for NinjaTrader 7 will receive a discount for the NinjaTrader 8 version. How are stop orders to exit handled if at all if the trade goes against you ? I don’t see that this indicator includes these in your videos. This indicator does not place any live orders. 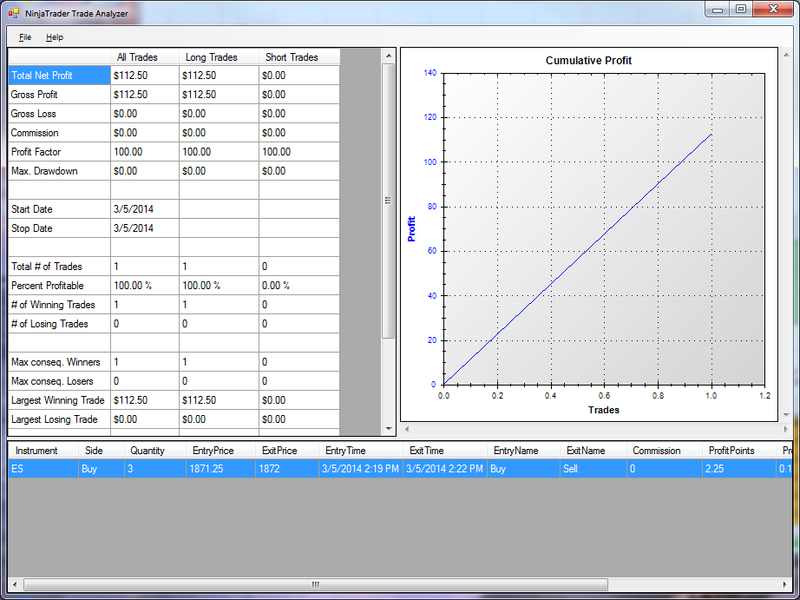 It simply plots trades at the entry/exit prices that you specify. Therefore, order type is irrelevant for this indicator.